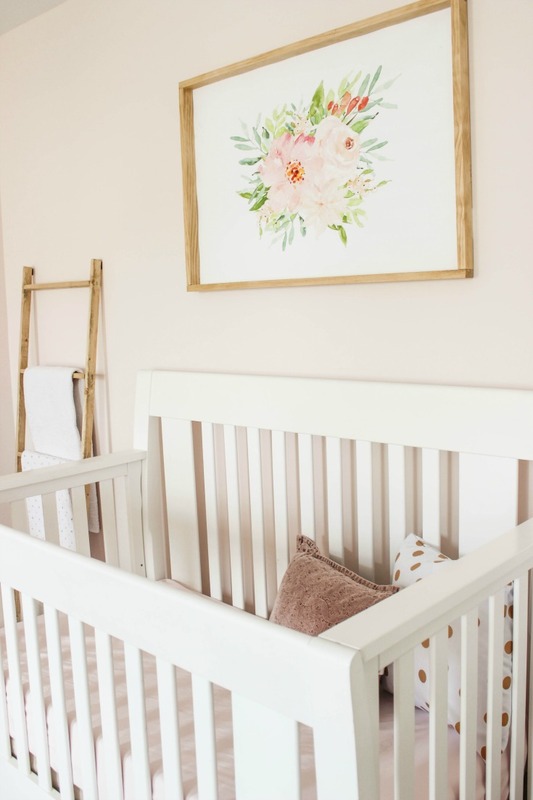 The icing on the cake is that I get to share our baby's room with you as part of a fun nursery tour with five other talented bloggers, so make sure to check out their beautiful rooms as well. 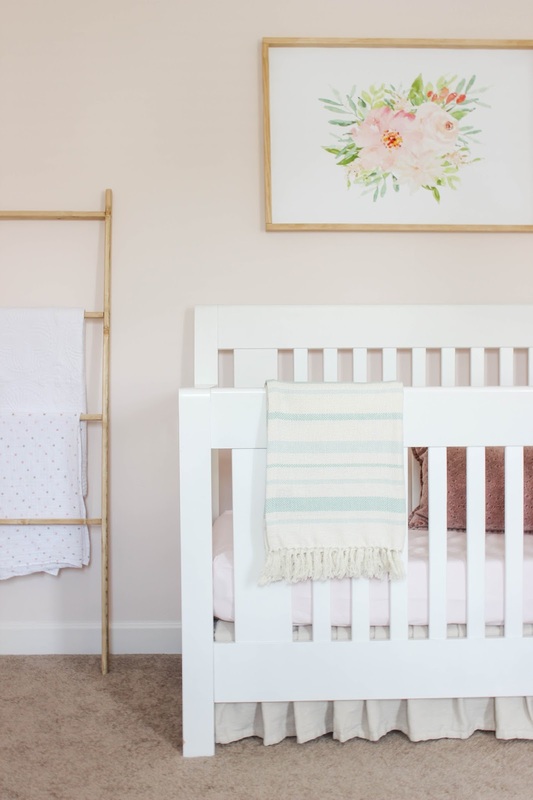 Links to their spaces (along with a full source list for my nursery) are provided at the end of this post. This post contains affiliate links. Please read full disclosure policy here. 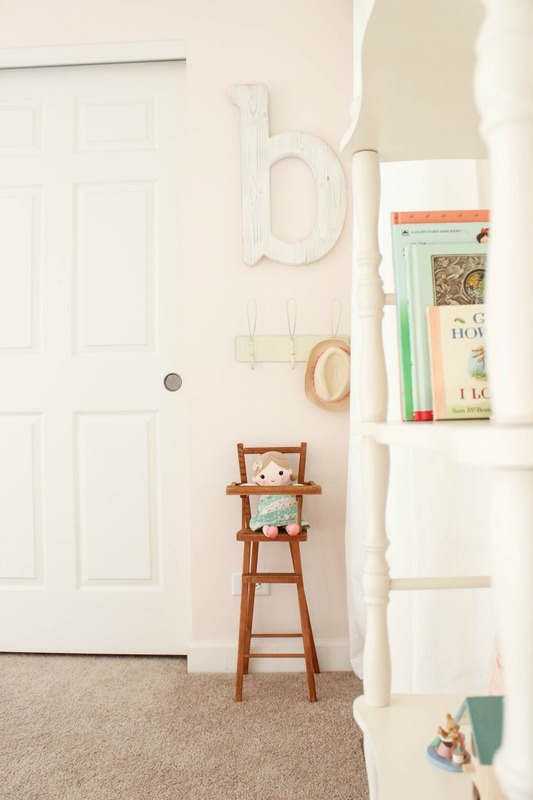 The inspiration for her room color came from this gorgeous nursery on Country Living (I'm obsessed with that boy's room too!) It's called Intimate White by Sherwin Williams and I seriously photographed this room half a dozen times trying to capture the true beauty of this paint color but unfortunately, I'm afraid my pictures just don't do it justice. Trust me, in person, it's a delicious blush pink! You can say that about a paint color, right? After months of searching, I finally hunted down this purrty antique dresser at a local furniture rehab shop. They had painted it a gorgeous navy blue (with weird lime green stripes on the side??) 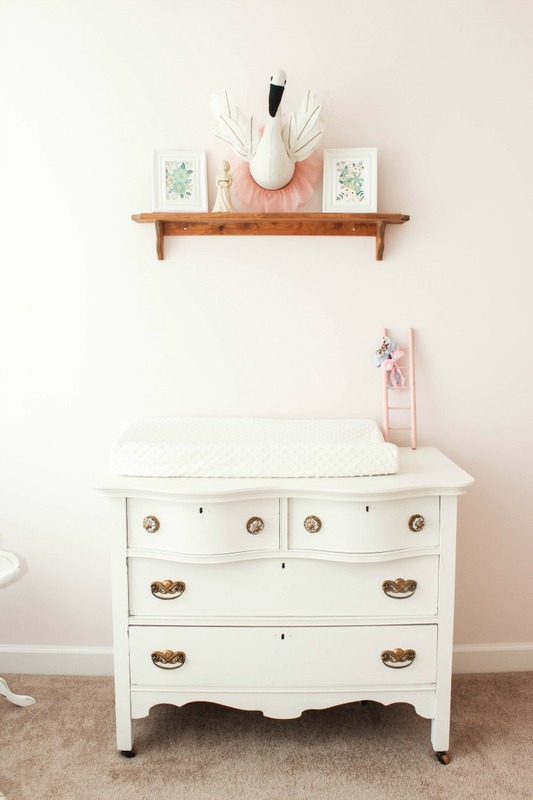 but the shape and style of the dresser was exactly what I had envisioned for a changing table, so I couldn't pass it up! Once I got it home, I painted it a color called Lace by Vintage Market and Design. 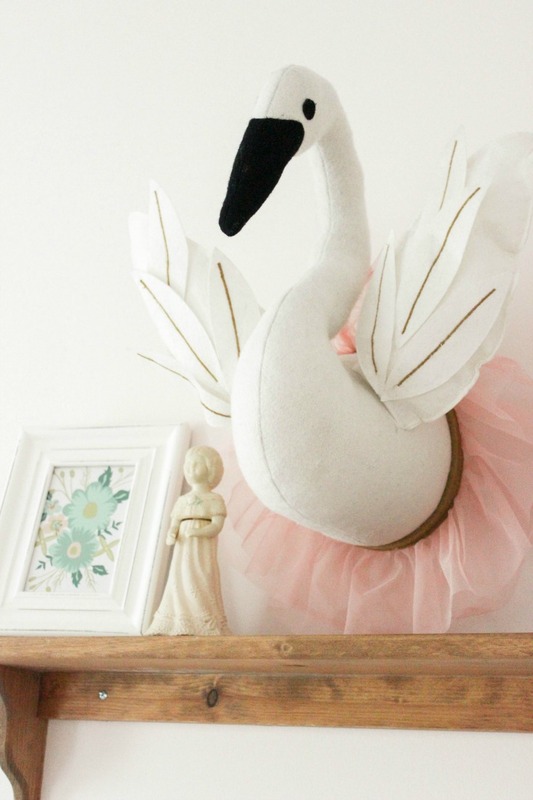 Above the changing table, I added some fun accessories like the swan head from Target and some framed florals from an old calendar. The girl figurine was given to me by my late grandmother before she passed away. She's kind of a hussey. The girl, not my grandmother! She can pop her top off and when she does she becomes a perfume bottle. Scandalous, right? The beaded chandelier.....sigh, where do I start? I could write poetry about this thing! 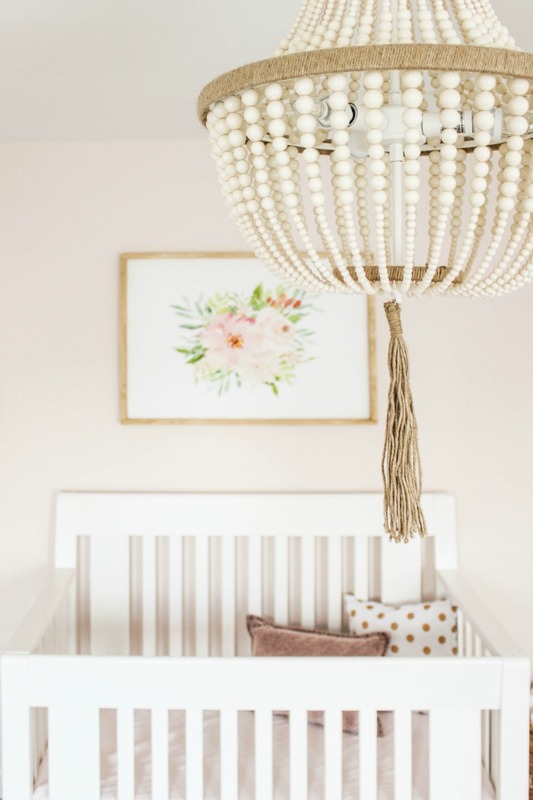 I think it was pretty obvious a few months ago when I shared a round-up of inspiring nurseries how smitten I was with this type of light fixture, considering almost every room had one! The crib was the same one we used for big brother. 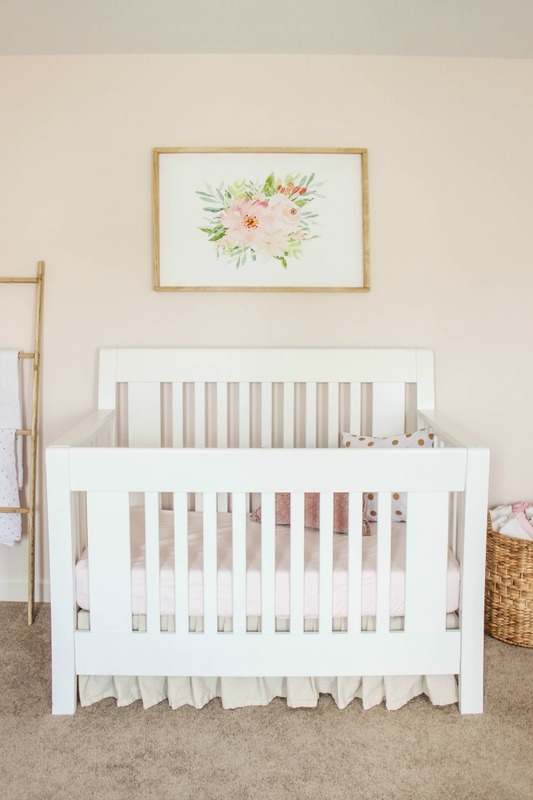 Last week I shared how I made the crib skirt out of a drop cloth. You can find the tutorial here (it's no-sew! YAY!) 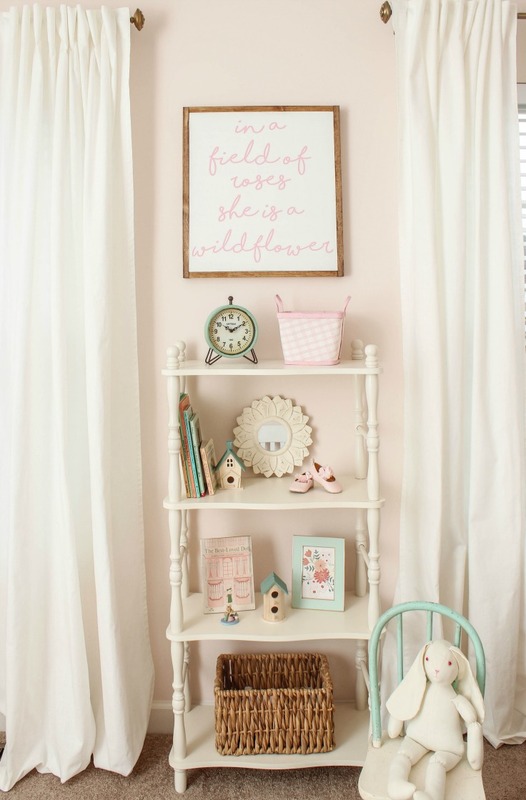 The blanket ladder and art frame were also DIY projects. More to come on those another day! 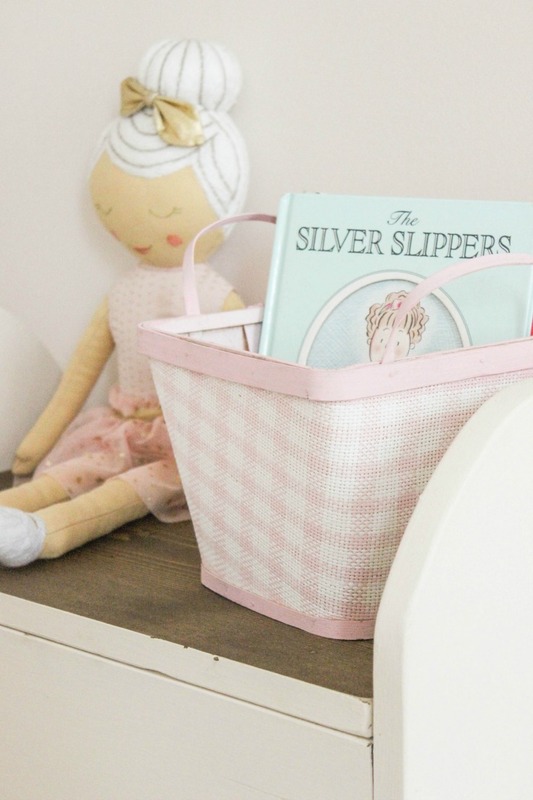 The basket to the side of the crib is used for additional blanket storage. Also, let me just state the obvious here, pillows in the crib are just for styling purposes not for when the baby sleeps in here! Okay, now that we have that covered let's move on, shall we? The opposite side of the room houses the glider and her bookcase. I LOVE the little mint green chair I found a few months ago. It's a strange phenomenon but every time I leave an antique store a kid's vintage chair just manages to hop into my trunk. Weird, right? The wooden sign was custom made by Kindred Spirits and Company and I am head over heels in love with it! I just briefly explained to Kally what I was looking for and it came out EXACTLY how I had envisioned. She is my sign hero! Seriously, if you're in the market for some wall signs make sure to check them out. 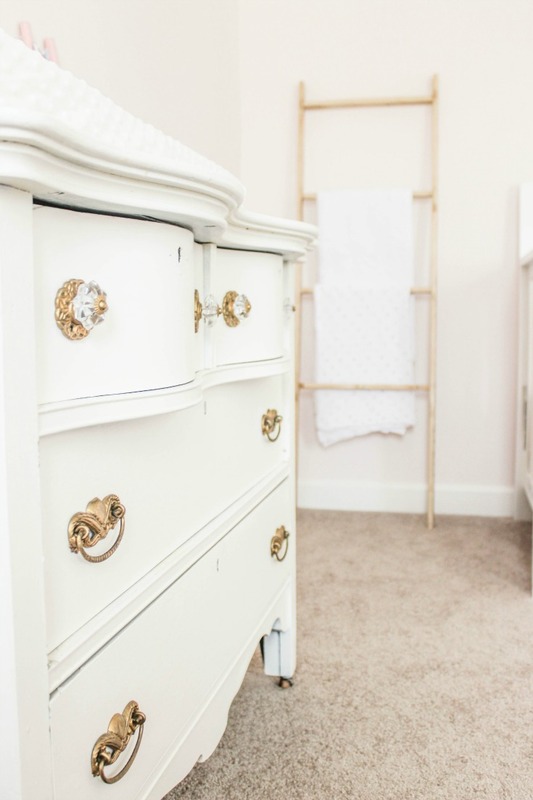 The sides of the closet are decked out with a a mix of accents, most of them vintage like the old doll high chair and the antique mirror that I found at Goodwill last year for just $6! It sat in my basement for a long time but as soon as I found out we were having a girl I just knew it belong in the nursery. It was originally a tacky gold color so I painted it white with chalk paint. I also scored the pink gingham baskets at Goodwill as well. Aren't they cute? My MIL gave us the little storage bench and I thought it made for the perfect little reading spot for when Brielle gets a little older. Well that's a wrap folks! Phew....sorry if anyone passed out. That was a lot of pictures! 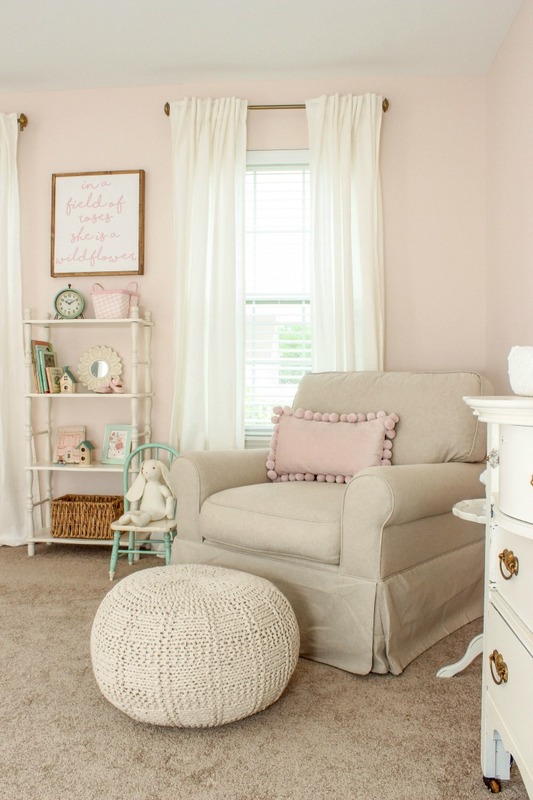 I can't wait to make memories in this room with my sweet little girl. I'm so happy with how it turned out. It seriously is like a ray of sunshine sitting at the end of our hallway (in it's previous life this room was a guest room/random storage space and we usually kept the door closed!) I'll be sharing before pics of this room in an upcoming posts because who doesn't love a good "before" and "after" makeover, right? So make sure to stay tuned! 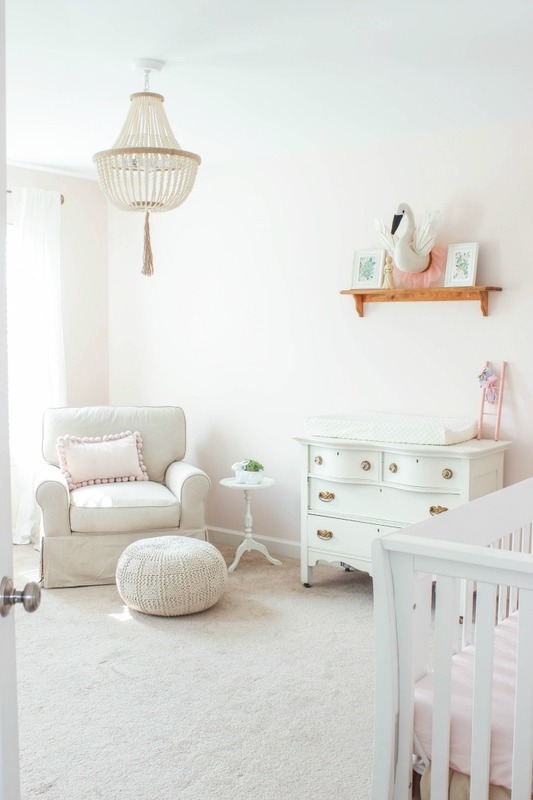 Edited: Before and After pictures of the nursery are now up! I hope you enjoyed today's tour. 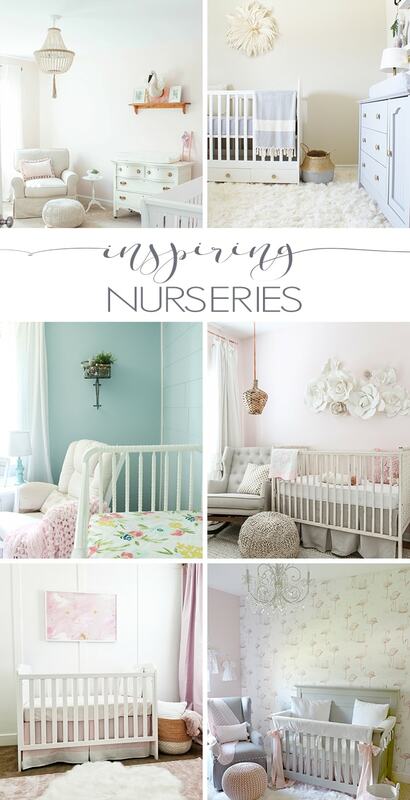 Nursery sources are listed below and don't forget to swing by the other nurseries. I promise you won't be disappointed! I tried to gather as many sources as I could. If it's not mentioned, then it more than likely was an item that was an old purchase, thrifted or given to us. Every detail is so sweet! You did an amazing job. 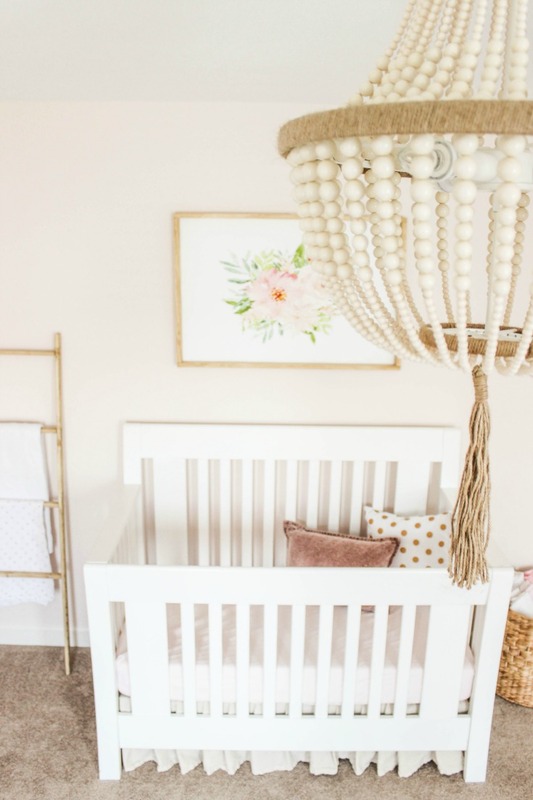 I love the chandelier and all that floral ptint above the crib! JENNIFER!!!! 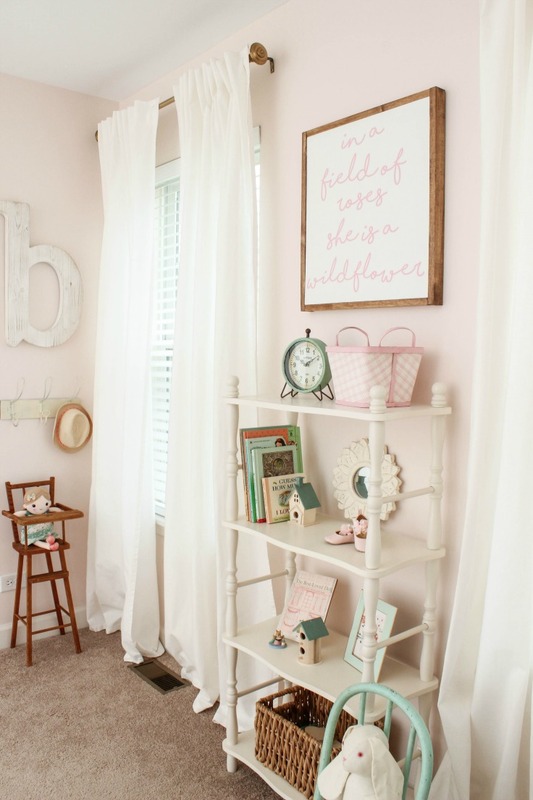 OMG this nursery is absolutely amazing from wall to wall. Your obsession with little chairs cracks me up, but what a GREAT little chair for this room!!! 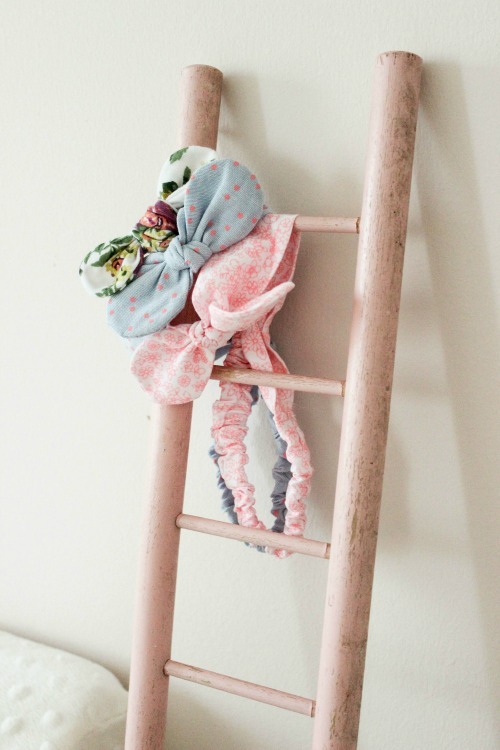 And that ladder for bows.....the most adorable thing I've seen! Loved doing this blog post with you!! Congratulations again on the new baby girl! 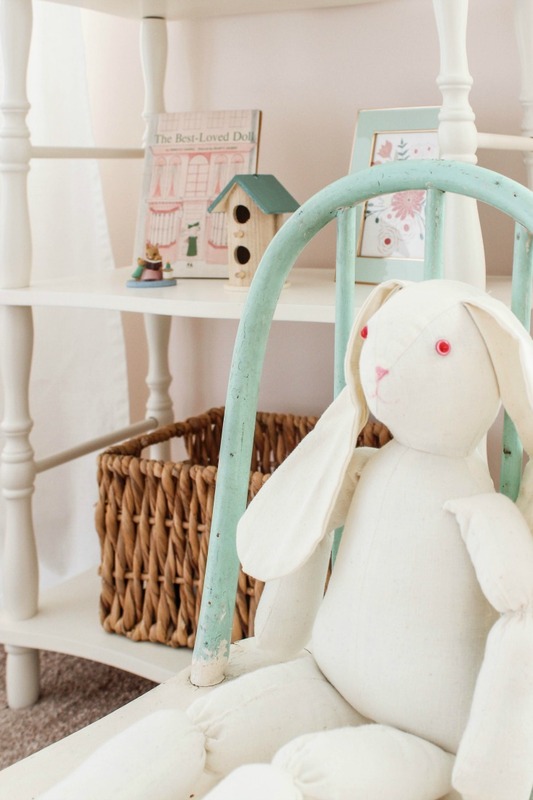 I love every single thing about this darling nursery Jennifer!! 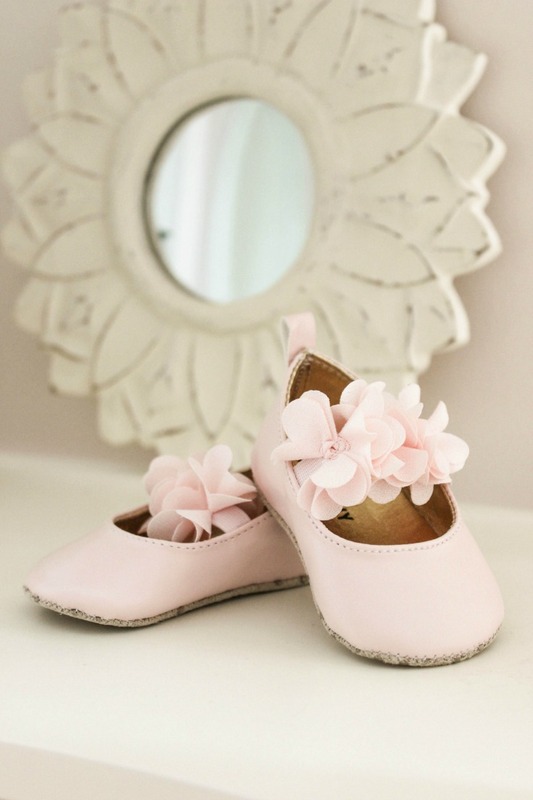 Its so sweet and I love all of the whimsical details!! 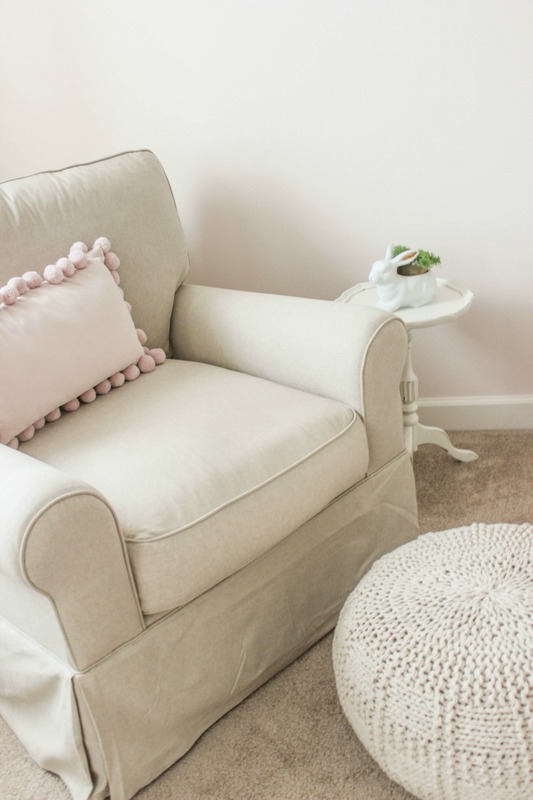 So glad we were able to do this nursery blog hop together! 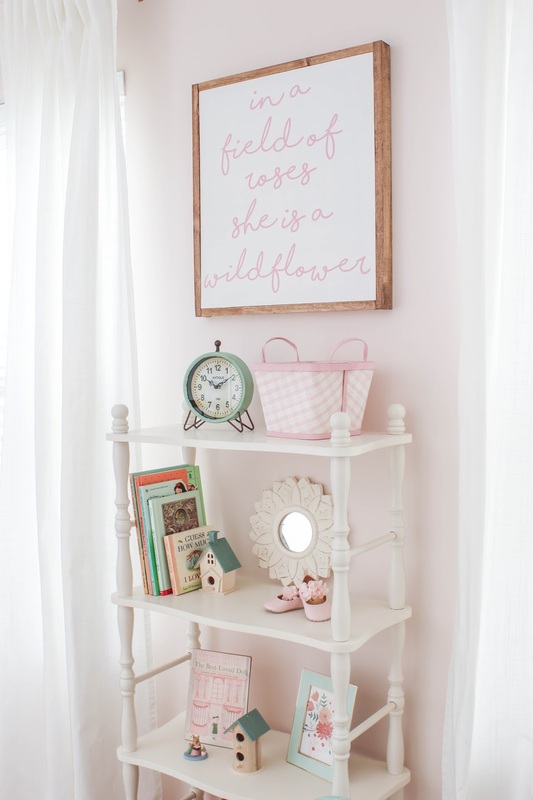 Oh, Jennifer what a sweet beautiful nursery!! Love how you incorporated the vintage pieces so beautifully!!! Great styling!!! Now I want to have another girl!! The room is just precious. Love everything about it!! Where is the mini ladder from? I'm so inspired now!! I love everything in here. Did you mention where you got the side table from? I'm looking for something similar! Also, where did you get your glider? I love all the floral pieces in this space and also how subtle it all is. Adriana, the side table was found at a vintage boutique in town! Domonique, I found that cute little ladder at a vintage boutique in town. 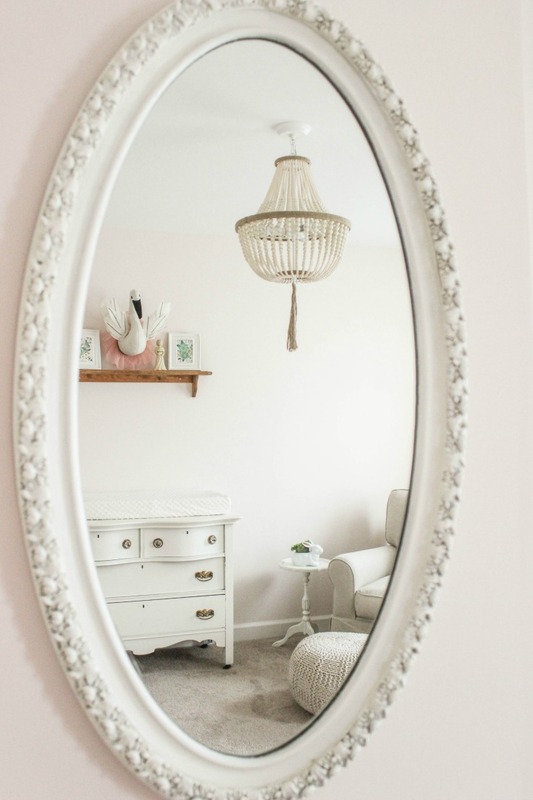 Nursery is gorgeous! Where did your curtains and curtain rods come from? Thanks! Keila, it wasn't letting my email you back directly so if you happen to see this curaints are from IKEA and the rods were left here by previous owners.